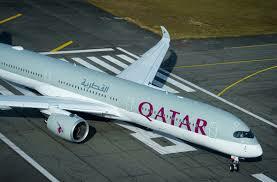 KIGALI – Qatar Airways has launched an exclusive promotion for its passengers who travel to new destinations in 2019. According to Rwanda’s New Times the global sales promotions will offer passengers a discount of 20 per cent on fares and will also receive 50 per cent bonus Qmiles and Qpoints in Economy Class and double Qmiles and Qpoints in Business. The daily says the promotion is valid on all Qatar Airways flights booked between January 7- 16 2019 for travel between 7 January and 20 May 2019. Ehab Amin, the Chief Commercial Officer of the airline invited all the airways passengers to start planning their next trip with this exciting global promotion. “No matter where passengers choose to travel, when they experience a new destination first-hand, they become the author of their own unique story,” Amin said. Passengers can now choose their next adventure with Qatar Airways global network of more than 160 destinations. “We are also committed to bringing people from around the world to Doha, not only to experience our five-star gateway Hamad International Airport during transit, but also to make Qatar a holiday destination of choice for our passengers,” he added. This year the airline plans to launch new destinations including Valletta, Malta and Isfahan, Iran, among others.